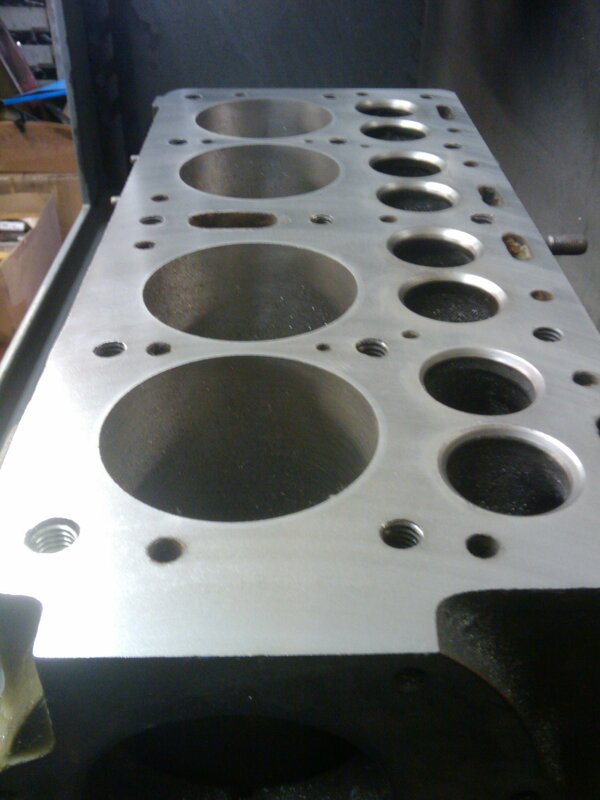 At H T Howard & Co we use our dedicated BERCO SC361 resurfacing machine to reface all types of cylinder blocks. 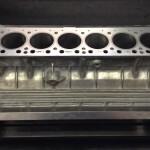 Generally speaking, cylinder blocks require refacing or “skimming” following some sort of engine failure which results in the block surface becoming overheated. Any distortion caused by these stresses will need to be removed to ensure the new head gasket has a perfect surface on which to seal. Blocks will also requires refacing following the installation of cylinder liners. 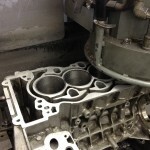 Cylinder blocks can be made of various materials which can be hard, soft or even a mixture of the two. Many modern engines utilise MLS (multi-layer steel) or shim type head gaskets and these require the mating surfaces of both head and block to have a very fine surface finish. The machinery and tooling that we use at H T Howard is capable of meeting these fine tolerances. Commonly used materials include aluminium, cast iron, compacted graphite iron (CGI) and cast steel. Some blocks have separate cylinder liners which can be made of different materials to the main body of the block which presents the additional challenge of machining “mixed metals” within a single job. At H T Howard we have the correct tooling to achieve the best surface finishes and tolerances for all block types. For machining aluminium cylinder blocks a single sided, PCD (Poly Crystaline Diamond) button insert is used. Aluminium Blocks with cast iron liners. When machining aluminium blocks with cast iron liners a single sided, CBN (Cubic Boron Nitride) button insert is used. For machining these blocks a double sided, CBN (Cubic Boron Nitride) button insert is used but the profiles can be varied depending on the relative hardness of the piece to be machined.